1. Different size, color, style are available. 2. 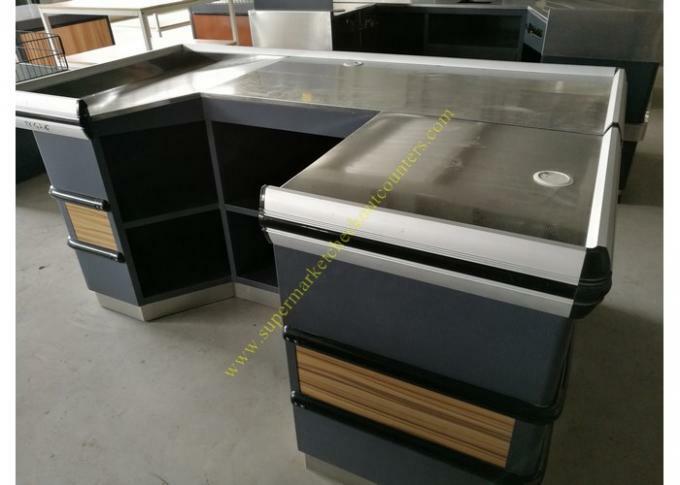 Aluminum alloy covered edge. 3. 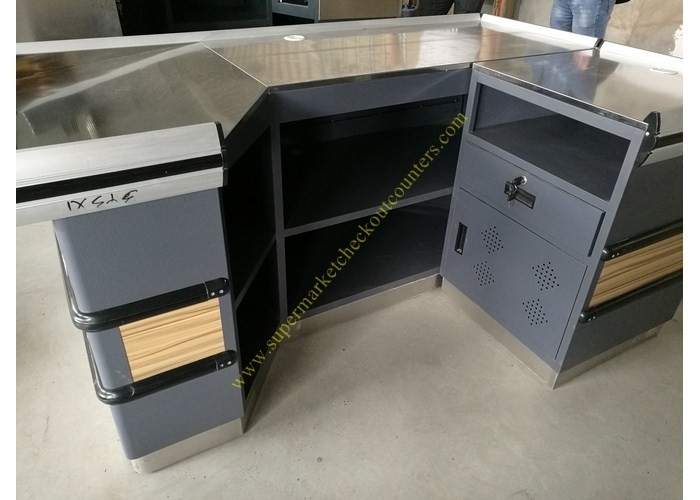 The table board is made of high quality stainless steel and the main body is made of roll steel board. 4. Place for cashier can be changed , Left side or right side per your requset. 1. Over 10 years experience' in manufacturing display products. 2. Technical design team to gurantee mordern design. 4. Enthusiastic pre-sale service & considerate after-sales service. We guarantee your 100% satisfaction on all of our products. We do our best to satisfy you. If you have any problem with you purchase, please let us know immediately and give us a chance to resolve until you are satisfied.